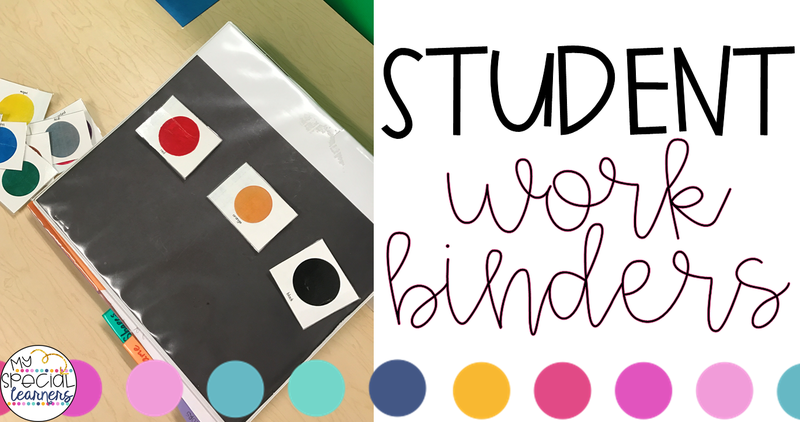 In my classroom, we've been working with some individual student binders this school year. They aren't glamorous or cute, but they are awesome and kind of life changing. 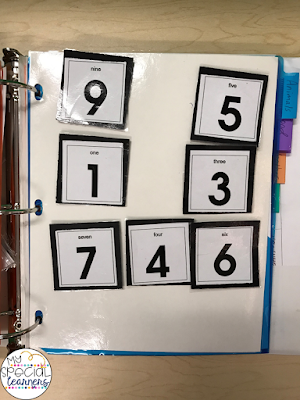 I wouldn't use something like this for every student, but for some students that need the repetition, and choose from a couple items receptively, they are perfect! 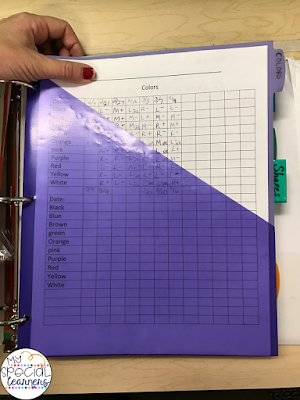 This particular binder was handed down to me with the student this year when she started in my classroom. On the front of the binder, there are 3 Velcro dots to attach work pieces to. On my other binders I've also used strips, it really depends on what you like! Inside the binder, each section is labeled with a data sheet and has the pieces necessary. In this binder, there are quite a few different sections such as colors, shapes, numbers, letters, animals, body parts, transportation, name identification, etc. 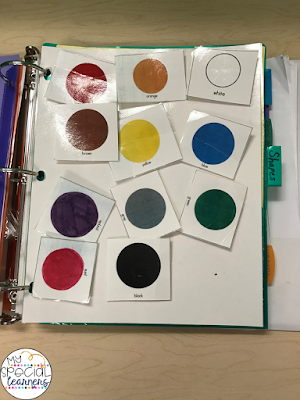 I've used plastic dividers in some of my student work binders, placed strips of velcro on them, and added laminated pieces. 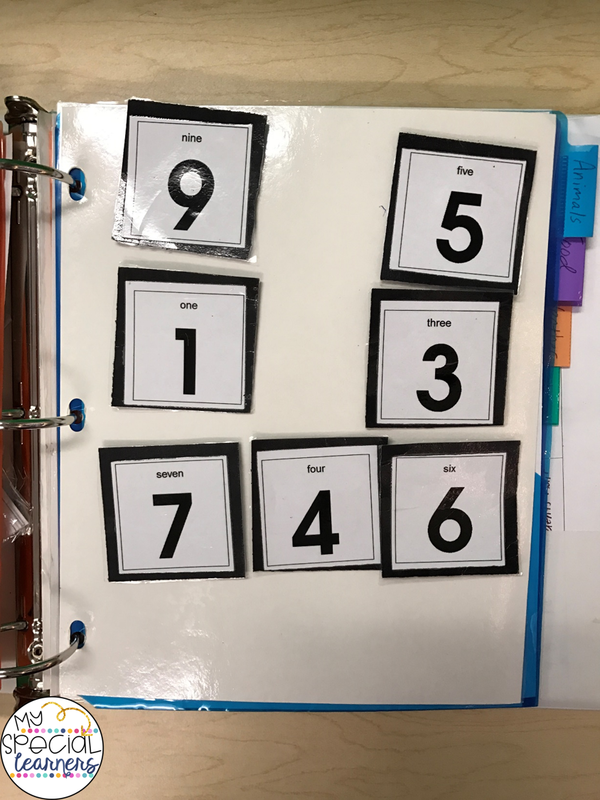 Such easy prep and SO easy to grab and work on specific goals with a student! Most of my pieces are just made in Boardmaker, but you can also use Google images for many icons. You can grab and already made version (and cuter!) of my student work binders HERE! 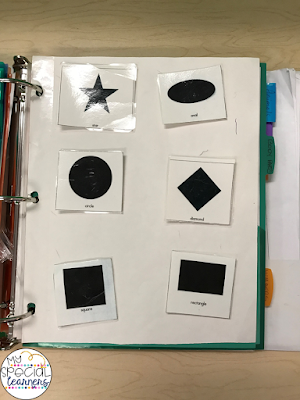 Some of my students need the simplicity of these binders to focus on their work and easily respond to questions or prompts from an adult. 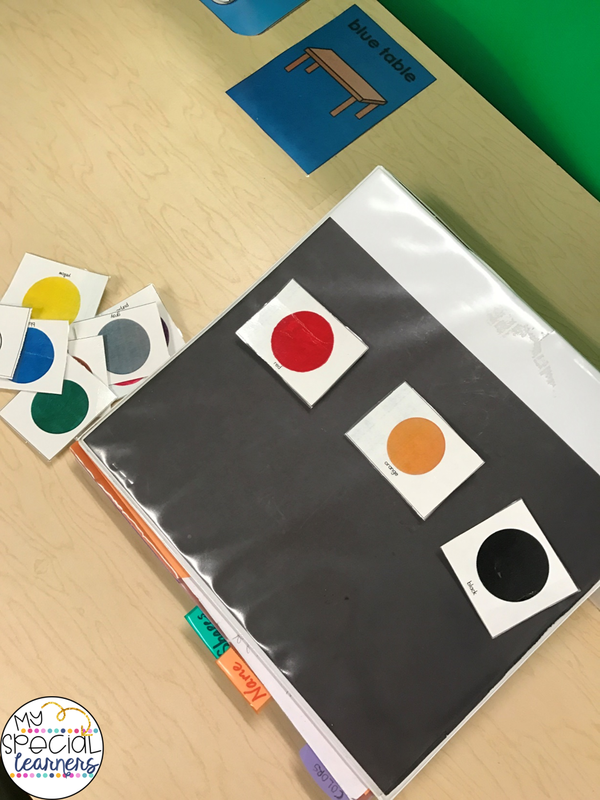 Do you use a similar system in your classroom? I'd love to hear about some of your easy grab and go work items!